LTG Nadia West, United States Army Surgeon General, engaged the Eisenhower School's student body and faculty. 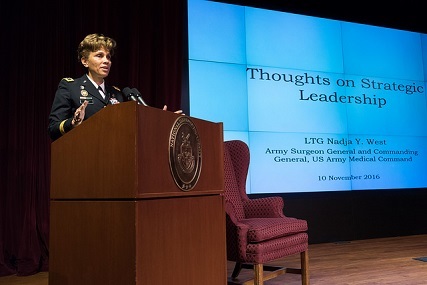 An alumna of the National War College, General West focused her talk on the challenges of strategic leadership. The Dwight D. Eisenhower School for National Security and Resource Strategy at Fort Lesley J McNair on the National Defense University campus. This program provides students with access to 20 industries or sectors considered important on a national scale. Students meet with leaders and sample ground floor operations. A collaborative assessment and report is a requirement of the curriculum. 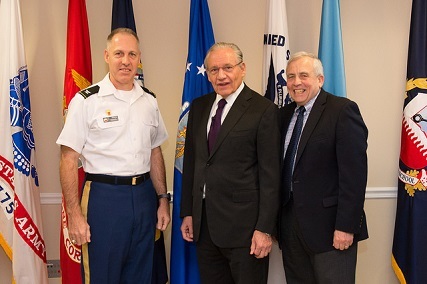 The Eisenhower School awards its graduates a Master of Science degree in National Resource Strategy and is accredited by the CJCS as a Joint Professional Military Education (JPME) Phase II senior-level college as established in the CJCS Officer Professional Military Education Policy (OPMEP) CJCSI 1800.01. 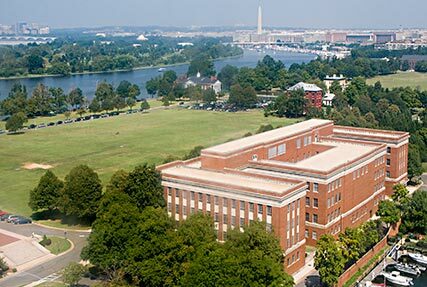 Additionally, The Eisenhower School has been designated by the Under Secretary of Defense for Acquisition, Technology, and Logistics to conduct the senior acquisition course for selected students as part of the Defense Acquisition University (DAU). The Senior Acquisition Course (SAC) is the preeminent course for members of the Acquisition Corps. The course is designed to prepare selected military officers and civilians for senior leadership and staff positions throughout the acquisition community. Reflecting the joint and interagency perspective, 58 percent of the student body is composed of military representatives from the land, sea and air Services, 32 percent from the Departments of Defense and State and 10 other federal agencies, 8 percent international military officers, and 2 percent from the private sector and other memoranda of understanding (MOU). The faculty is composed of military officers from all five Services and civilian academics who are experts in their fields. Military faculty normally hold the rank of colonel/captain and are highly qualified subject matter experts with specialized experience. Civilian faculty, who typically hold doctorates or the equivalent, include full-time academicians, state department representatives, and visiting professors from selected federal agencies.